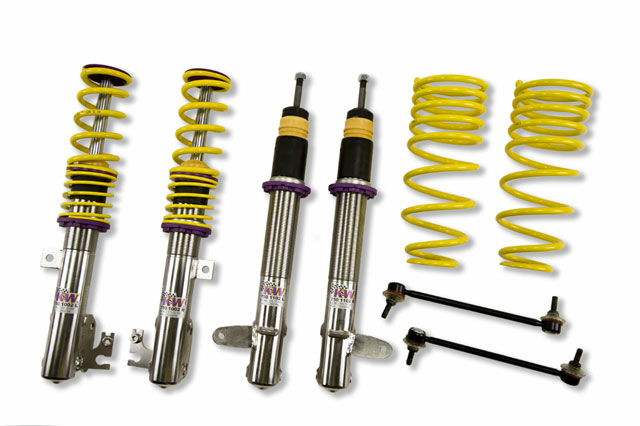 Drivers who want more than just an outstanding look and lowering within the TÜV-tested adjustment range, will find the perfect suspension solution with our KW coilovers Variant 2 "inox-line". 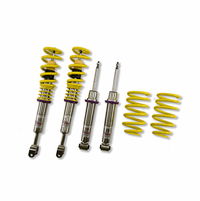 Not only stainless steel struts, corrosion-resistant components great durability, you have the possiblity to adjust the dampers to your own requirements in rebound (16 clicks) are good reasons to buy KW coilovers Variant 2 "inox-line". 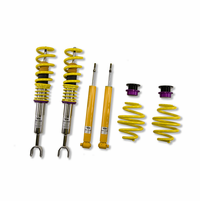 As with all KW coilovers our engineers develop vehicle specific damper settings which undergo comprehensive test cycles in the Nürburgring Nordschleife and on our KW 7-post driving dynamic centre. 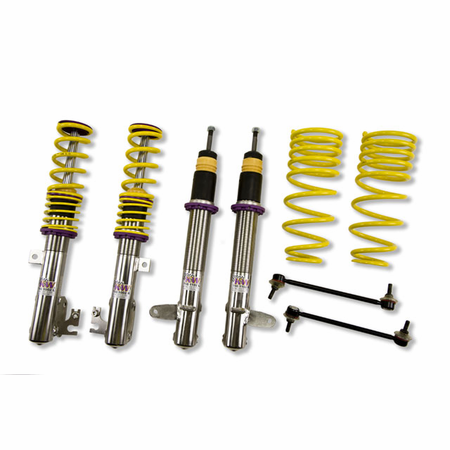 With a KW coilover kit the driving experience is more dynamic and direct. 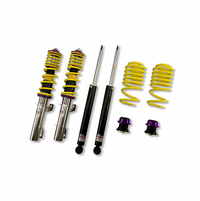 Because of the rebound adjustablility with our KW Variant 2 coilovers you can have more influence in handling and comfort of the car. With 16 precise click you can adjust the KW dampers (firmer or more comfortable) without affecting the bottom vlave of the compression damping.